Swami Krishnananda was a highly respected philosophical writer, especially on metaphysics, psychology and sociology (in both the Hindu and Western traditions). Born on the 25th April 1922 into a highly religious family, he became well-versed in the sacred Hindu texts. His spiritual yearnings led him to Rishikesh in 1944 where he met His Holiness Swami Sivananda, who initiated the young man into Sannyas in 1946. Swami Krishnananda was a rare combination of profound dedication in both Karma yoga and Jnana yoga. His more than 40 books are known the world over as excellent presentations of Yoga and Vedanta, and their application to our daily lives. 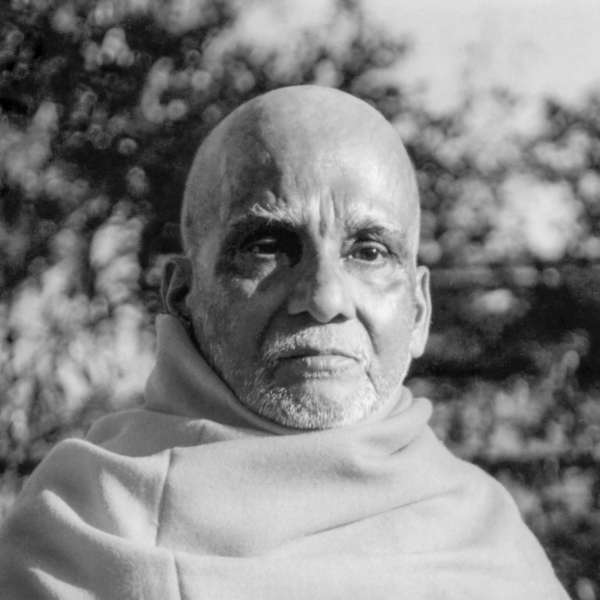 Swami Krishnananda was a significant disciple of His Holiness Swami Sivananda, and the General Secretary of the Divine Life Society from 1961 until shortly before his mahasamadhi on the 23rd November 2001. “The delight of the Self is the delight of Being. It is the Bliss of Consciousness-Absolute. The Being of Consciousness is the Being of Bliss, Eternal.